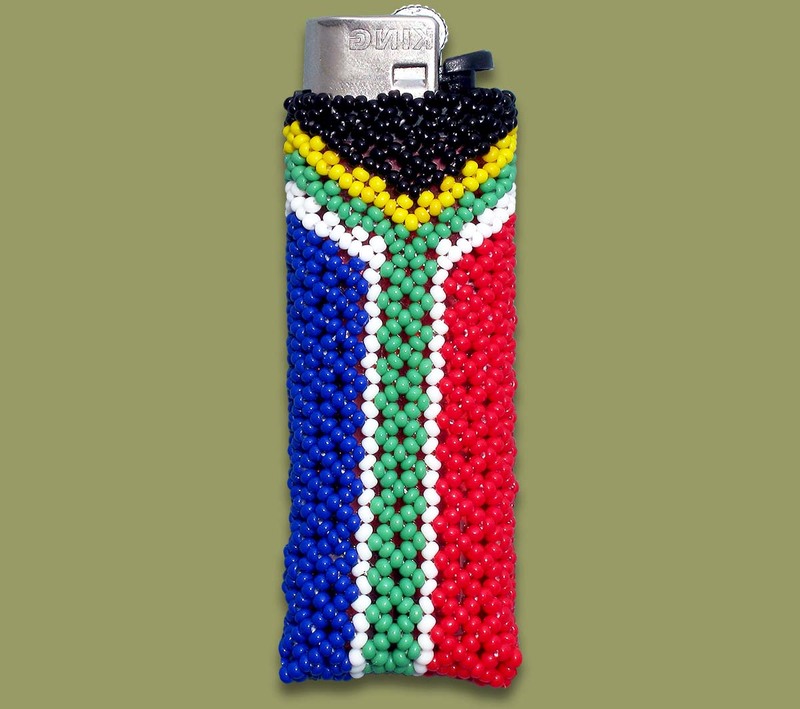 Beaded SA Flag Cigarette Lighter. African Beadwork. The lighter can be replaced when the old one is empty.